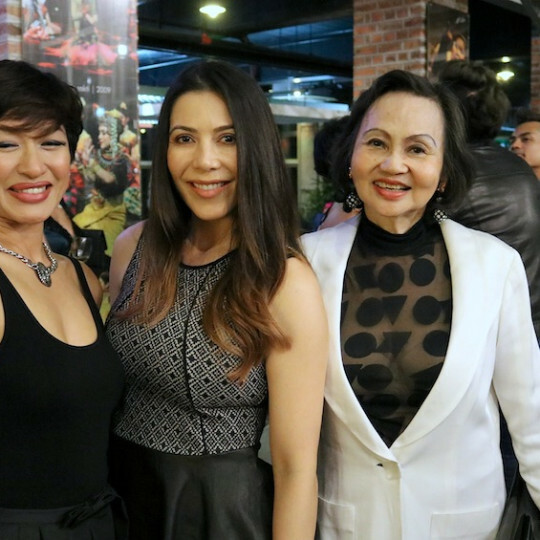 The stars were out last week for KL fashion and Davis and I were there to catch it all. Here I am wearing Guess by Marciano with my favourite Christian Louboutin heels and Davis is wearing Zara. I got up close and personal with Blogger Babe Heidi Nazarudin who started the blog/website The Ambitionista. She’s a major success worldwide and gives great style advise to working women and tips and tricks to looking fabulous in the workplace. Patricia K is definitely a trend setter when it comes to fashion, here she is in a backless Alia Bastaman looking drop dead gorgeous!! I bumped into the beautiful Vanessa Tevi at the Fiziwoo show, she stunned in a navy sheath with hair by Shawn Cutler and Makeup by Brenda at Shu Uemura. I worked with Vanessa leading up to her Miss Universe Malaysia crowning and she’s come a long way from being the sweet bubbly girl from Penang. Vanessa is now a real head turner with all the hard work she’s put in to be the queen that she now is. All the way from Los Angeles, Blogger Babe Heidi Nazarudin was on a publicity tour in KL and I was lucky enough to bump into her at the FiziWoo show. I had to grab the beautiful Marsha Milan Londoh for a quick photo, dazzling in her pink Khoon Hooi trench coat. I did see lots of trench coats at KLFW 2015 and the celebs and socialites wearing them pulled off this look effortlessly regardless of the 100 degree weather outside and the hot lights inside the show. Ive known Siti Salehah for many years as she is a family friend. I’ve seen her evolve from a young upcoming actress to a fully fledged Starlet . Every time I see her she’s so humble and sweet and her beauty just shines from the inside out. Just goes to show, it doesn’t matter how big you are at this moment it’s very important to remember where you came from. Love you Salehah!! Not just a pretty face Zaida Ibrahim left a job in finance to start her own business Impressed, a juice bar offering fresh pressed juices and healthy food and snacks. You can find Impressed on the lower ground floor at Nu Sentral Mall. KL in general is such a casual city, slippers are the shoes of choice for many however, tonight held no stops for KL’s celebrities and socialites. I loved seeing the effort everybody put into what they were wearing. At the end of the day, it doesn’t matter who or what you’re wearing as long as you put in the effort!